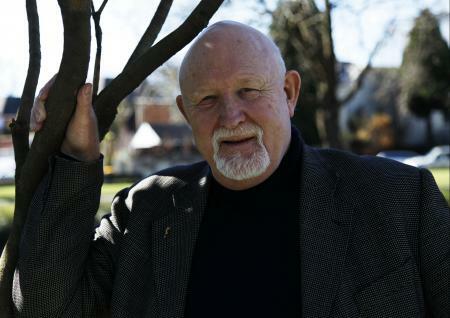 David Fergusson, Emeritus Professor of Psychological Medicine at the Christchurch School of Medicine and Executive Director of the Christchurch Health and Development Study died on 3 October, 2018, aged 74. David had an unconventional late entry into academia. He left school at age 15 to work in the merchant navy (an interlude that provided some colourful tales) before migrating to New Zealand. After several years working, he undertook a degree in Psychology at Victoria University in Wellington. After graduating he worked at the New Zealand Ministry of Justice Social Policy Unit where he was known for his high productivity. In 1976 David moved to Christchurch to establish the Christchurch Child Development Study, later the Christchurch Health and Development Study, a longitudinal study of 1265 children born in Christchurch. He subsequently described his job as Executive Director of this study as the ‘best in the world’ while also noting, subsequently, that research ”suited my personality - I have a disputatious nature. The whole research is really a series of 'who says'". Largely through his grit and determination, and a close long standing collaboration with John Horwood, the study has continued for 40 years. The study has been remarkably productive: David alone published over 470 peer reviewed papers, which have been cited over 30,000 times. He made seminal contributions to understanding multiple topics beyond the study’s initial focus on health service utilisation. These included the cognitive and behavioural effects of low level lead exposure in childhood (David’s PhD topic) and, when the cohort entered adolescence, the aetiology, course and comorbidity between mental health conditions and drug use and addiction. Specific studies examined: the effects of prenatal nicotine exposure on cognitive and behavioural development, the effects of adolescent cannabis use on psychosocial outcomes; and the comorbidity between drug use and common psychiatric disorders. The Christchurch earthquakes of 2011 were a topic of late research interest, given the unique opportunity that the CHDS cohort provided to conduct a quasi-experimental evaluation of the impact of the earthquake on mental health and drug use by comparing cohort members who had and had not been in Christchurch during the earthquake. David successfully obtained competitive grant funding New Zealand Govt Health Funding Agencies to support the CHDS study for over 40 years in a fiercely competitive funding environment. He always appreciated the need for publicly funded work to be scientifically rigorous and socially relevant in improving the quality of life of all New Zealanders. Work that he was proud of included research demonstrating the role played in childhood drownings by young children’s access to – and parental attitudes towards – unfenced swimming pools. This contributed to regulations that reduced child drownings. David was also instrumental in establishing the Early Start Project, a Christchurch-based family support programme. This was in response to his findings that young people at greatest risk for a wide range of adverse outcomes, including drug use and addiction, were exposed to multiple social and personal risks that needed to be addressed in childhood. After retiring from the University of Otago in 2015 David continued to contribute as a consultant for the Ministry of Social development. David was at times a proud contrarian and an occasional curmudgeon who acknowledged ‘I don’t do diplomacy’. The opinions expressed in this commentary reflect the views of the author(s) and do not necessarily represent the opinions or official positions of the Society for the Study of Addiction.